Perhaps one of the most famous paintings of Salvador Dalí is The Persistence of Memory, which the artist completed in 1931, conjuring up, with its "melting" watches, Albert Einstein's general theory of relativity. However, physics was not the only science that inspired the genius from Figueres. As Laura Chaparro published in Agencia SINC, biology was also one of the painter's obsessions. In Butterfly Landscape (The Great Masturbator in a Surrealist Landscape with D.N.A. ), the artist mirrored the double-helix structure of DNA, discovered only four years before Dalí painted it. 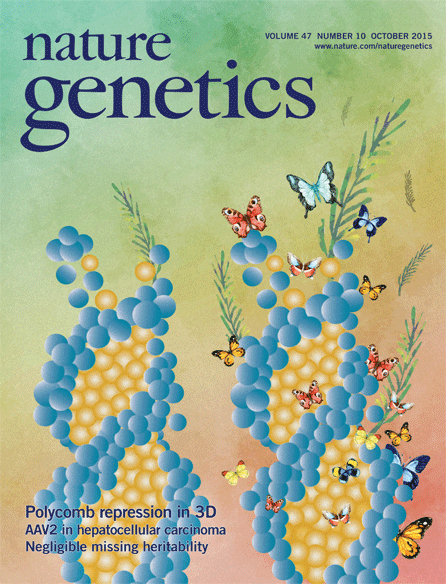 It was precisely this painting that was chosen by the artist Luisa Lente to illustrate the cover of the Nature Genetics journal, which published research that questions some of the rules of epigenetics established hitherto. 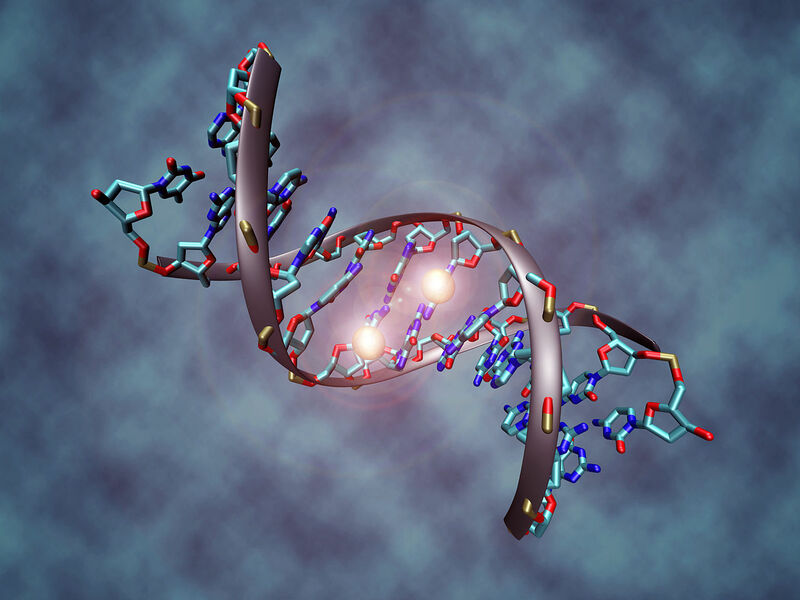 Epigenetic “signals” are fundamental in processes such as embryo development. The trimethylation of lysine 4 and lysine 36 of histone 3, related to transcription activation, and the trimethylation of lysine 9 and lysine 27 of histone 3, with the repression of transcription, are examples of the marks that turn gene expression on and off. However, a study conducted by Roderic Guigó (Centre for Genomic Regulation, CRG) and Montserrat Corominas (University of Barcelona, UB) has demonstrated that the signals on chromatin may actually be somewhat irrelevant in the regulation of genes that are expressed sporadically in embryo development. In this regard, the teams coordinated by Roderic Guigó and Montserrat Corominas have analysed the data generated from the expression profiles of Drosophila melanogaster and Caenorhabditis elegans in the modENCODE project. On comparing the expression patterns of the thousand genes with the highest variation coefficients and the thousand genes with the lowest rate, the scientists saw that the most stable sequences were marked with the epigenetic modifications related to transcription activation. However, and contrary to what was believed, the heavily regulated genes were barely regulated in turn by these characteristic epigenetic signals, presenting levels comparable to those of the genes whose expression is silenced. "Initially, we did not set out to study the relationship between the chromatin marks and gene expression during development, but rather to analyse the function of these marks in RNA processing. However, we observed that there were some genes with high expression levels that did not have the chromatin marks that are regarded as necessary to maintain these high expression levels. Initially, we thought that this could be an artefact of our experimental approach, since if the genes are expressed only in some cells, as often occurs with genes regulated during development, the signal that is originated from the modifications might be diluted and not be detected. However, on analysing the data generated by the modENCODE project, we realised that the genes regulated during development are effectively expressed without the chromatin marks that one would expect. A large part of our work focused on confirming these results experimentally,” says Montserrat Corominas. This apparent lack of active signalling might suggest, according to Nature Genetics, that the genes regulated during development might not respond to conventional histone modification systems. The finding clashes with one of the main principles of epigenetics: that transcriptional regulation according to cell type is key in maintaining the cell's identity, while also presenting sufficient flexibility to adapt to endogenous and exogenous stimuli. This regulation is brought about precisely through specific molecular factors, such as chromatin marks, and the topological organisation of the genome itself. The results published by the CRG and the UB have therefore confirmed that the genes regulated during the development of the fly or the worm are transcribed in the absence of classic epigenetic signals (histone modification), and that this characteristic is precisely a pattern of these genetic sequences. Differential histone marking would plot a dividing line between stable genes and the genes regulated during development. In the second case, the researchers pose the hypothesis that these sequences, that need to be "turned off" and "turned on" very quickly, would require an unmarked chromatin state. Moving forward, it will be necessary to assess whether these patterns also occur in other species, such as the human being. “If they do, the results of our study would help to improve our approach in manipulating or modulating gene expression level, which would also be very useful in the study and treatment of certain diseases, because we know that these genes are often directly related to them", concludes Roderic Guigó.